Joe Mantegna joins Criminal Minds and Today grows another hour. 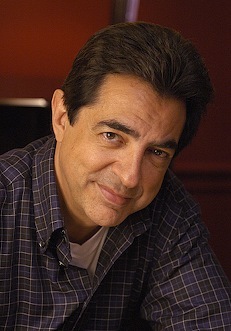 ***Old reliable Joe Mantegna will replace unreliable Mandy Patinkin on the third season of CBS' Criminal Minds. Patinkin, who left the show without explanation last month, is expected to appear in one more episode to explain the departure of his tightly wound character, Jason Gideon. Mantegna, who previously co-starred on CBS' Joan of Arcadia, has been cast as FBI special agent David Rossi, who comes out of early retirement to rejoin the show's Behavioral Analysis Unit. Mantegna's first appearance is scheduled for the fifth episode. CBS' official announcement made no mention of Patinkin. The actor previously abruptly left the network's Chicago Hope before returning four years later for the series' final season. ***Expanding like The Blob, Today's fourth hour -- from 10 to 11 a.m. beginning Sept. 10th -- will be tri-hosted by (from left to right above) Natalie Morales, Ann Curry and Hoda Kotb. Fill-in hosts include former New York Giants running back Tiki Barber, who joined NBC last year. In D-FW, the extra hour of Today will displace a 10 a.m. local newscast on NBC5, which is owned and operated by NBC Universal. ***The TNT and USA cable networks respectively have ordered second seasons of Saving Grace, starring Holly Hunter, and Burn Notice, with Jeffrey Donovan in the lead. ***KFWD52's The Gordon Keith Show will get at least a one-time upgrade to Belo8. The KTCK ("The Ticket") personality's renegade comedy show will air on Saturday (Aug. 18) at 11:35 p.m. on the single-digit channel. Belo8 sports anchor Dale Hansen is the featured guest. "This is an opportunity to expose The Gordon Keith Show to an even broader audience," says Belo8 vice president and station manager Mike Devlin. KFWD52 is co-operated by Belo8, which produces Keith's show out of its new Victory Park studios. The half-hour program airs on Thursdays at 10 p.m. on the double-digit station. Its latest edition drew 11,900 homes, holding its lead-in from a Charlie's Angels repeat.